Let's Celebrate Saturday August 18th! The Animal Shelter will be opening at 10:00 a.m. on Saturday and will remain open until the shelter has been cleared. 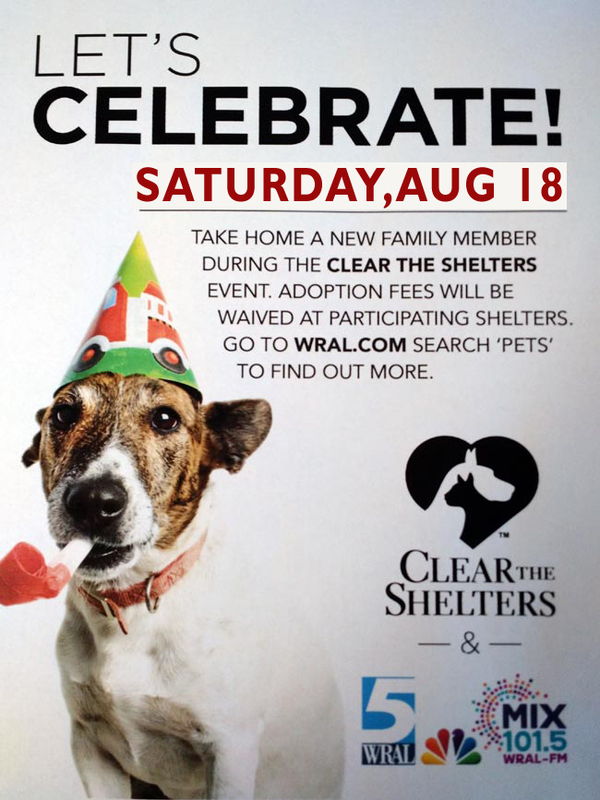 Take home a new family member during the Clear the Shelters event. Adoption fees will be waived at participating shelters. Go to www.wral.com and search 'pets' to find out more.